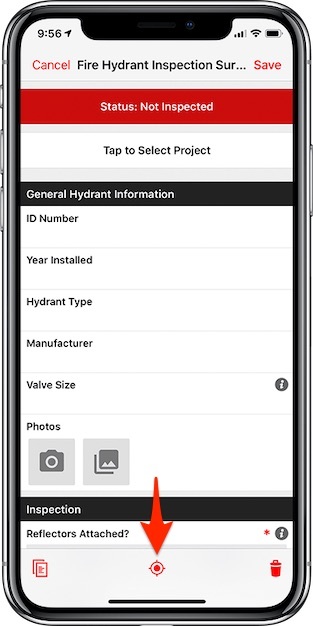 How to manually set/change the location of a record in the Fulcrum for iOS app. Whenever a record is initially created Fulcrum will capture the GPS location of the mobile device. 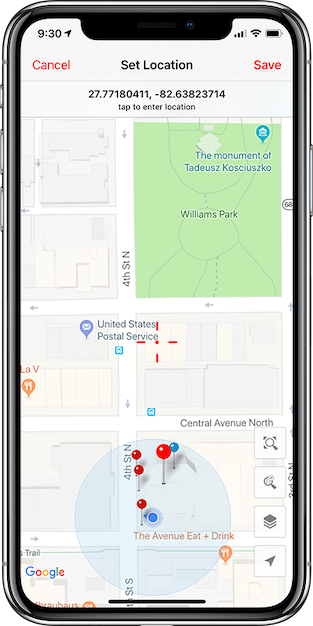 If the GPS data that is being provided to Fulcrum from the mobile device is not accurate enough Fulcrum will continue to request the location from the mobile device until it acquires the location data. There are times where you may want to move the record location to somewhere other than where you are standing when you initially create a record. When this is the case, you can use the set location option to change the location of the record. To do this you will want to have your record opened in the record editor. Then select the set location icon (looks like a crosshair) in the middle of the lower menu bar. This will bring you to the set location page, where you can set the new record location. You can move the record to your current location by selecting the arrow icon in the lower left or pan the map to any location by dragging the map around. Once you have the location set, tap the save button. 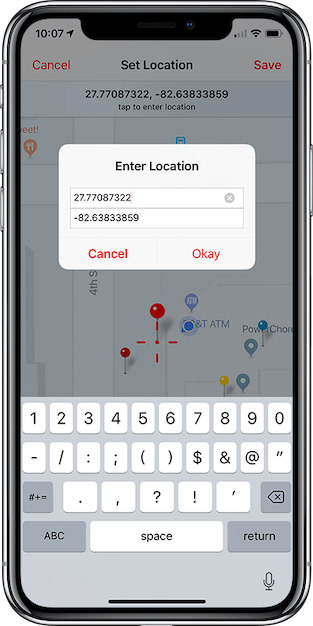 Additionally, if you know the coordinates you wish to set the record to you can tap on the coordinates at the top of the screen to manually enter in the coordinates.